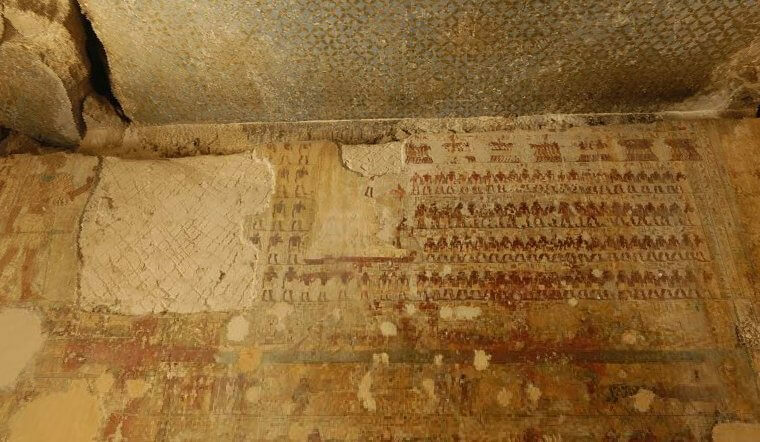 Recently, a lot of attention has been given to the tomb of the ancient Egyptian provincial governor Djehuti Hotep (Thothotep) of Wenet (“The Hare Nome”) c. 1900 B.C. Djehuti Hotep lived under the reigns of Amenemhat II, Senusret II, and Senusret III and was one of the most powerful nomarchs of the Middle Kingdom. 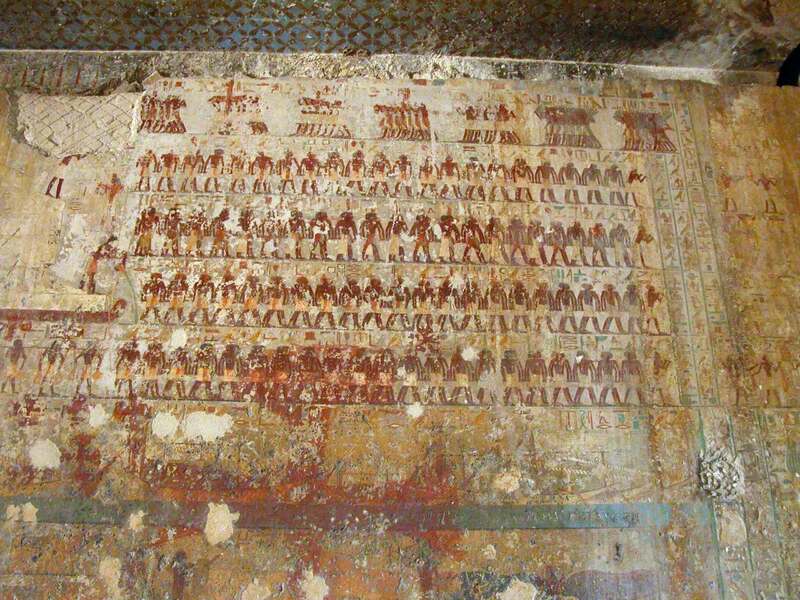 His tomb is well known for the great quality of its decorations. For this reason, it is believed that Djehutihotep died prior to the strict measures reducing the power of the nomarchs that were established by Senusret III. Indeed, as their charge became hereditary at the end of the Old Kingdom, the nomarchs became local rulers effectively, although not nominally, independent of the Kings. This situation led to excesses in the exercise of power that worsened steadily during the First Intermediate Period. It was not until Senusret’s measures were imposed that such abuse of power later exercised by nomarchs, stopped posing a threat to the integrity of the Egyptian state. Being part of the hereditary nomarchial system, Djehutihotep’s family held the office of local governor for several generations. 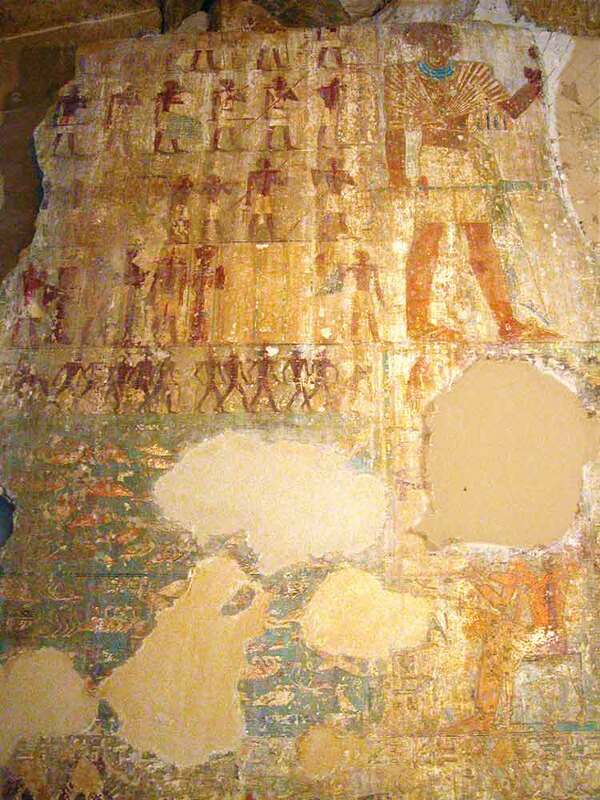 Djehutihotep was the son of a woman named Satkheperka and an official named Kay. The latter was the brother of Djehutinakht and Amenemhat, both of whom became governors of the Hare nome, although Kay did not. Djehutihotep was married to a woman named Hathorhotep. Her parents are not recorded in known sources. Several children of Djehutihotep are known. 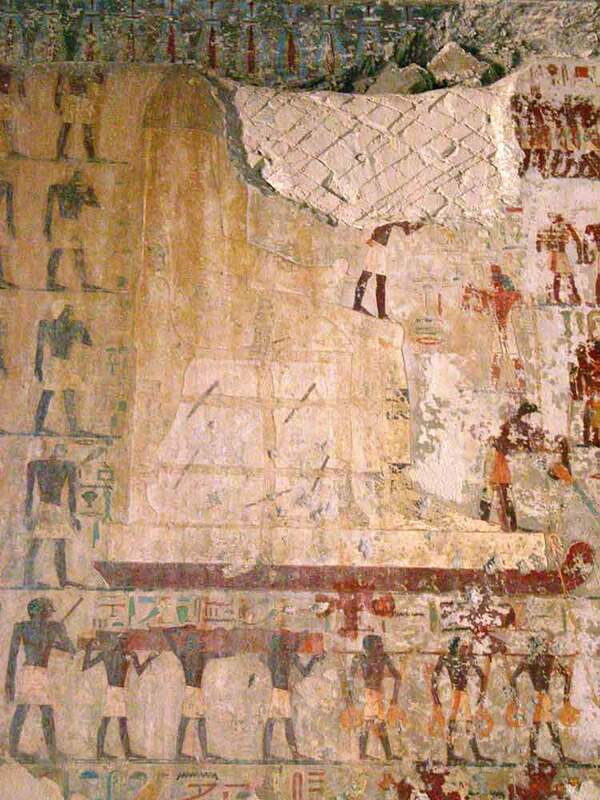 These experiments served to confirm what the Egyptians clearly already knew, and what we probably already should have. 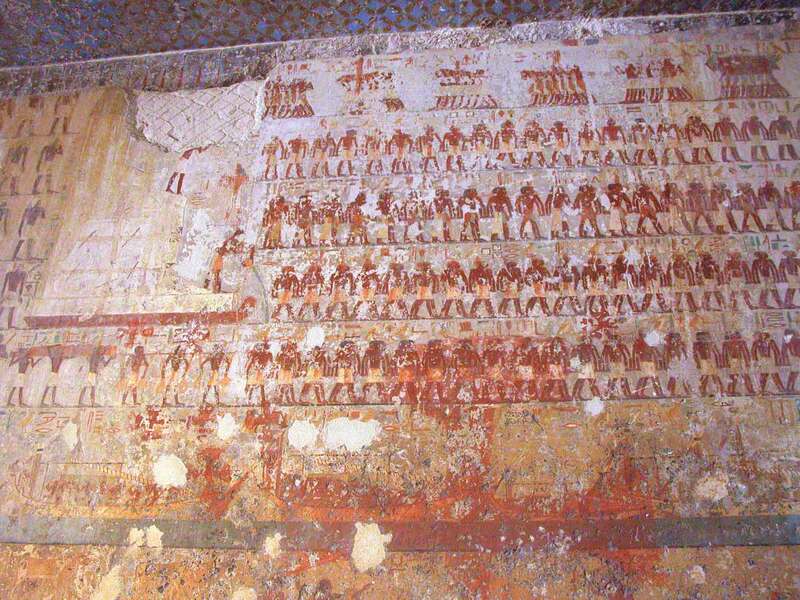 Artwork within the tomb of Djehutihotep, which was discovered in the Victorian Era, depicts a scene of slaves hauling a colossal statue of the Middle Kingdom ruler and in it, a guy at the front of the sled is shown pouring liquid into the sand. You can see it in the image above, just to the right of the statue’s foot. What these reports and many other similar articles that speak about Ancient Egyptian carvings fail to do, is to give the readers a comprehensive translation of the text that accompany such carvings. 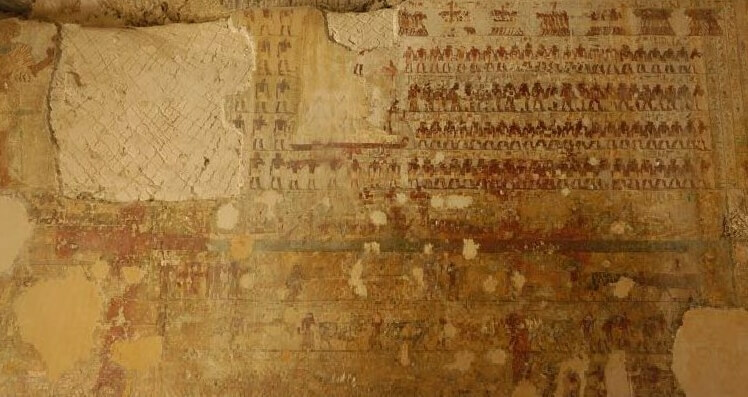 When viewing an Egyptian temple wall that contains both inscriptions and vignettes (images or depictions), those inscriptions and vignettes nearly always go together and must be viewed and interpreted as a unit. One does not necessarily make sense without the other. 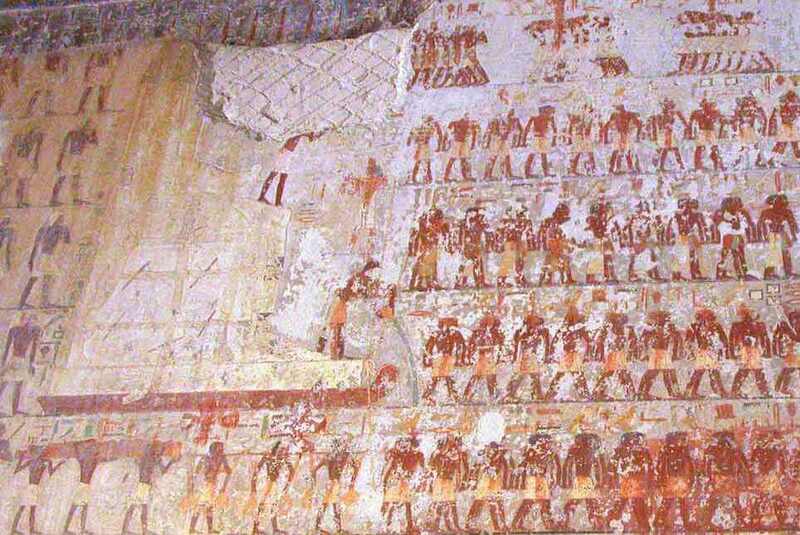 This is how the ancient Egyptians perceived it, which of course means this is how you are obligated to view it—if you want to make real sense of a “decorated” wall. You must immediately divorce yourself from modern attitudes, values, perceptions, and assumptions and try diligently to think like the ancient Egyptians would have. Most if not all Egyptian concepts are not in isolation and can be compared to more than one instance of the same expression elsewhere in Egypt. The quarries from which the great block for the statue was cut are located ten miles from the river in the desert back of el-Amarna. The difficult road from the quarries over the desert, down the cliffs, and across the plain to the river at the modern village of Hagg-Kandil, had been in use since the days of Khufu, and Uni had transported stone upon it. Along this road the block was transported to the river, and then floated down-stream to Hermopolis-Eshmunen, where the statue was sculptured. Translation: “Wenet is in celebration, their hearts are glad, its elders are children, its young men are refreshed, its children rejoice, their hearts are in celebration while they see their lord and the son of their lord, in favour of the sovereign, making his monument. Translation: “Bringing forth the best of the offerings brought by his districts in Wenet for this statue of the Governor Djehuti-hotep, revered.